As a kid, I wasn’t a huge salmon fan. Something about the fishiness and the grey flaky skin always freaked me out when my mom served it to me. It was definitely one of those things I dreaded when she said that’s what was for dinner. If she had served me this salmon that’s drenched in a lemon dill garlic butter, that might have been a different story. 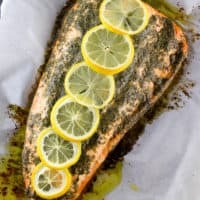 It reminds me of summer with how light the salmon is and how bright the lemon butter makes the whole dish and, let’s be honest, who doesn’t love summer. The sliced lemons on top aren’t necessary, but they sure do make it pretty. For some reason, having the whole fillet even makes me feel fancy. If you’re looking for a dish to serve to dinner guests and impress the heck out of them, here it is. The best part of it? It takes little to no effort and is absolutely delicious. 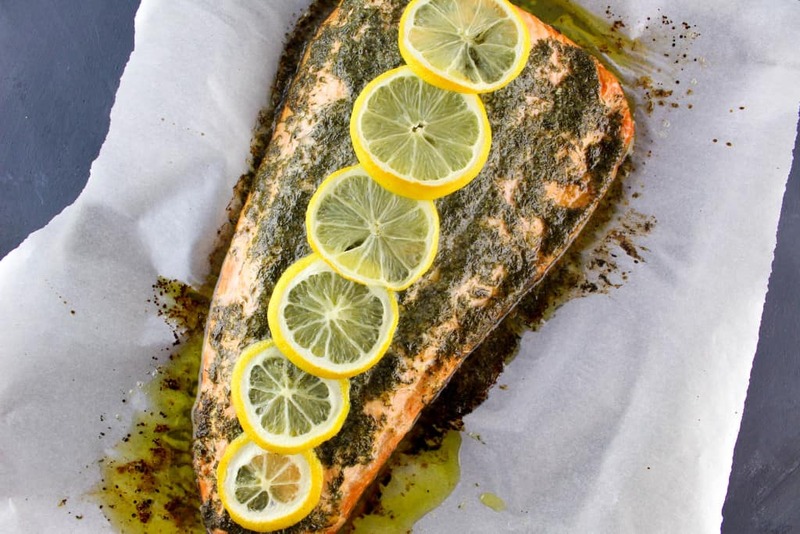 All you have to do is throw a few ingredients in some melted butter and slather it on the salmon. Cook it and you’re done! Just serve with some vegetables and rice and you’ve got a meal. A bright and easy way to make Salmon with Lemon Dill Garlic Butter. Combine butter, lemon juice, dill, garlic powder, salt, and pepper in a small bowl until combined. Place salmon fillet on parchment paper over a baking sheet and liberally wash with butter mix. 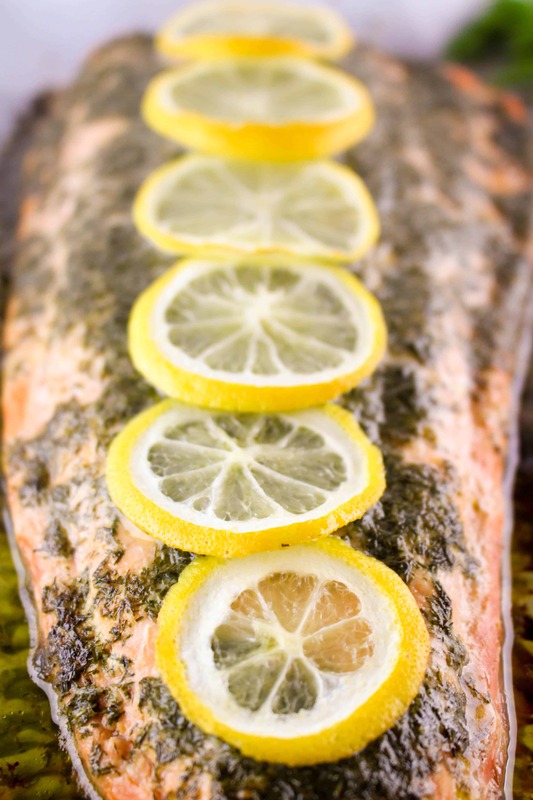 Place in oven until salmon flakes with a fork, around 25 minutes.